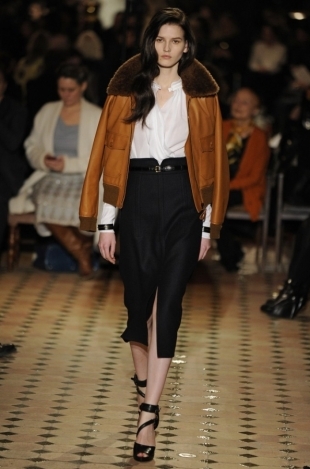 Check out the new iconic garments signed Hermès and draw inspiration for your new fall 2013 must-have trends! 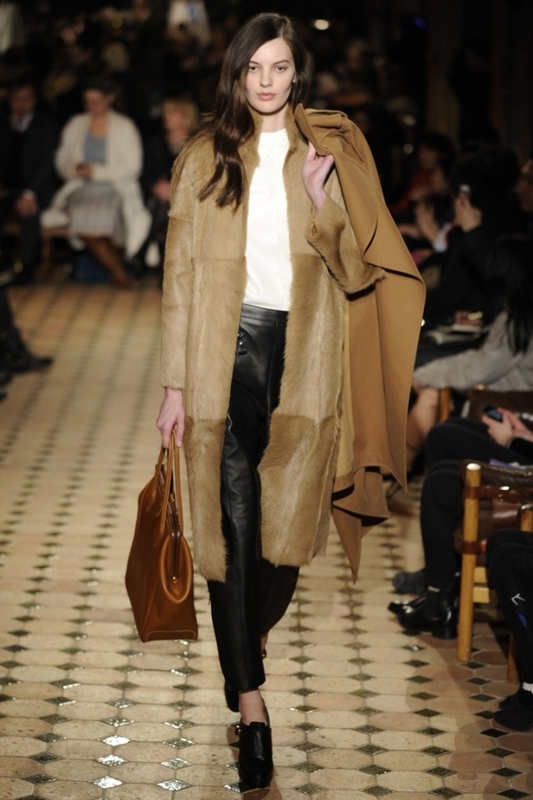 The Hermès fall 2013 collection presented at Paris Fashion Week impressed the audience with its chicness and expensive heritage allure. 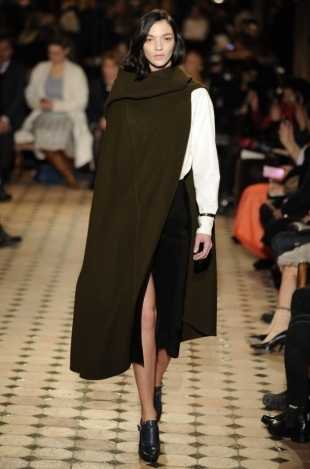 The new direction Christopher Lemaire stirs the Hermès fashion house feels a lot more modern and wearable compared to previous collections signed by the recognizable label. An impressive number of designs, 38 to be exact, were rocked by models on the catwalk held in a venue that oozed vintage luxury, a location that matched perfectly the style of the lineup to create a story of a Parisian-chic woman that is stuck on wearing timeless, fashionable garments that look classic yet still pack a high dose of attitude! The audience present at the show's debut at Paris Fashion Week was not disappointed with the outcome of the lineup, as Mr. Lemaire focused on bringing various styles to the podium so that more women could relate to the designs. 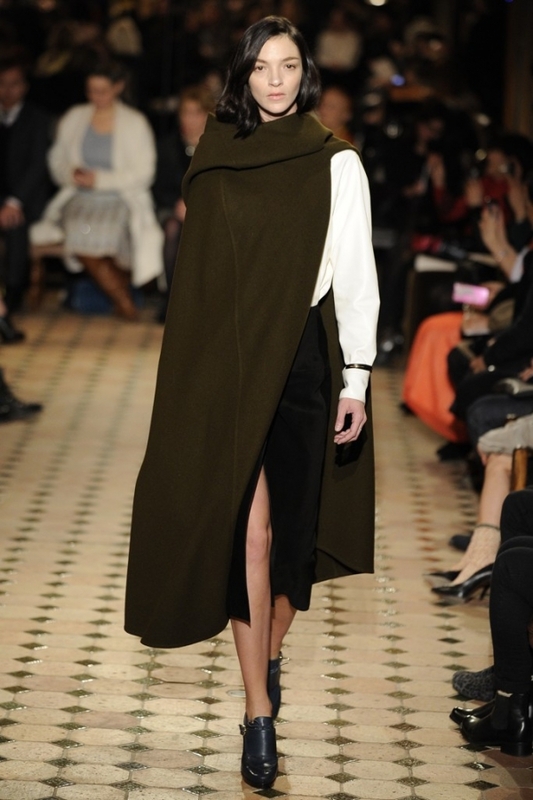 The Hermès fall 2013 show debuted with a stylish skirt separate that looked genuinely vintage-chic due to the cape-poncho hybrid that was layered upon the garments. 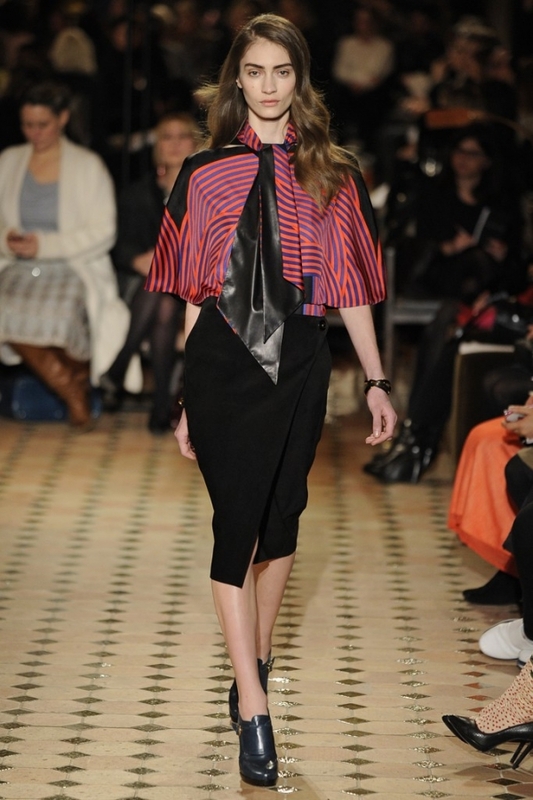 An array of mid-length and knee-length pencil skirts, as well as various classic cut dresses ranging from wrap dresses to maxis were displayed throughout the collection as these are must-have designs of the fall 2013 season. Pant separates, classic office-chic jumpsuit and coats featuring masculine-inspired lines were also heavily promoted in the collection and the diversity and the chicness each design bares make the new high-end attire purely irresistible. 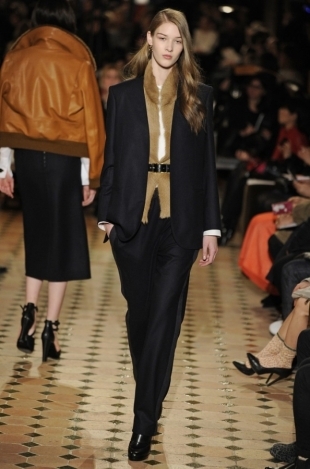 There's a powerful allure mixed with soft femininity that conquers from first glimpse and looks so modern at the same time, so be sure to mishmash impeccably tailored trousers with cool blazers, pretty shirts, cool jackets, vests and coats to come-up with a sizzling attitude-packed, clean-chic outfit! Obviously due to the fact that Hermès label is known for its luxury leather designs, this fabric couldn't have missed from the catwalk, however leather garments were mixed with textiles to create a balanced, wearable look that feels soft and refined. 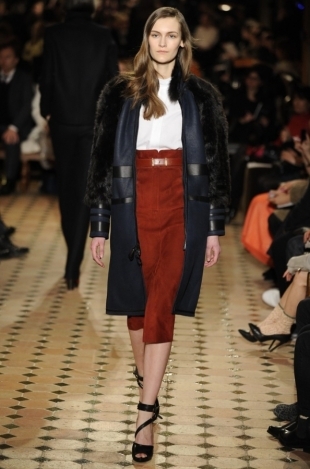 As far as the color palette went, autumnal shades such as achromatic tones, wine, pink and brown pigments were used to underline the elegant, far from opulent style of the lineup, so check out the amazing creations signed Hermès for fall 2013 and take your cue from this acclaimed fashion power-house as regardless of your choice your style will spark envy!